What to do with the children in half term? Have you exhausted the local parks, swimming pools and indoor play areas? We have the perfect ides to keep your kids entertained this Easter and half term. Chris can provide an exclusive one-to-one one hour magic lesson for anyone over the age of 8. It will be a unique experience tailored to each and every recipient and can be held in the comfort of your own home. Are your children forever trying to master the art of the disappearing rabbit or attempting to find out exactly how they can guess which card you have chosen? Magic lessons are perfect for anyone who has an interest for the mystery of magic and wants to learn how to do it themselves. 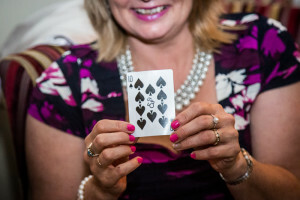 Chris will provide all of the materials that are needed for the magic lesson as well as a selection of tricks and props that the recipient can keep to practice their newly learnt tricks and wow their family and friends as many times as they want. If you are interested in the ins and outs of magic tricks or know anyone that would like to learn more about the mysteries of magic get in touch and find out more today.